What do mini soccer balls raining from the sky, live steel bands playing in the streets and graffiti murals popping up around the city all have in common? They’re just a few of the creative ideas that student members of the College of Charleston School of Business American Marketing Association (AMA) chapter came up with to help digital marketing and advertising firm HOOK promote the first-ever Marley Cup. Born out of the Charleston music scene and launched with the help of Ky-Mani Marley (son of Bob Marley) and the Charleston Battery, the Marley Cup celebrates live music, competitive soccer and good vibes. 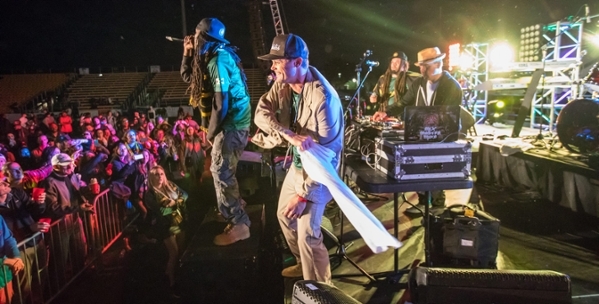 The event was created by Dave Brisacher and Brady Waggoner of the Billboard chart-topping local reggae band, The Dubplates. The definition of an artist in more ways than one, Waggoner also serves as creative director at HOOK. As part of the strategic planning to reach college-age students, event coordinators reached out to HOOK to boost Millennial appeal. One of HOOK’s senior strategists, College of Charleston alum Andy Snyder ’10, saw an opportunity to connect with the target audience directly — through his alma mater. Snyder reached out to the AMA chapter at the College not only to glean valuable insights from a hip age bracket but also to allow student members to gain real-world advertising experience. This is a common occurrence for the AMA’s collegiate chapter, which often partners with local businesses to ensure students gain valuable experiences that make them ready to work upon graduation — a core School of Business tenet. Student members engage with marketing industry leaders through guest speakers, recruiter and company presentations as well as informational sessions. The AMA members also build their professional portfolios through marketing projects that benefit both the business and campus community. Much like in the professional world, the timeline for the project was short. In February, Snyder was on campus presenting a creative brief at an AMA meeting. 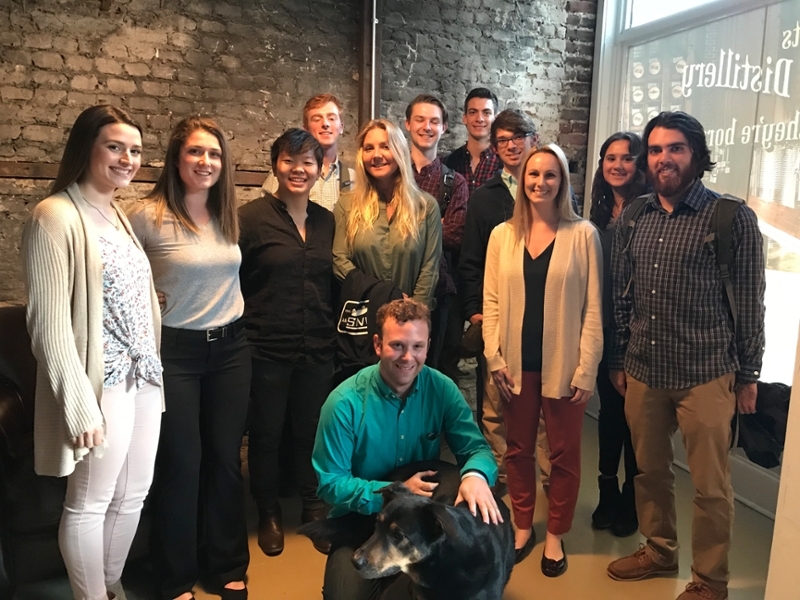 By Spring Break, the AMA’s budding marketing and advertising professionals were pitching their solutions to Snyder, Waggoner and Snyder’s dog, Buster, in a conference room overlooking Upper King Street. AMA student members split into two teams to present their promotional strategies for the Marley Cup. AMA President Jonathan Brakefield ‘19 and Vice President Kallie Golicher ‘18 served as facilitators for the two competing teams. Both club leaders provided guidance on how to structure team pitches and how to critically think through ideas. Brakefield was excited at the opportunity to work closely with the Charleston-based marketing agency and appreciated what it did for the club. “The project not only offered valuable contacts and experience for our members, but it also brought everyone in the group together as a team,” he says. Student member teams got the chance to flex their pitching and public speaking muscles as they presented clever guerilla marketing tactics to promote the Marley Cup to college students. “In terms of student input and execution, their enthusiasm was huge,” says Snyder. With the help of the AMA, HOOK was able to get on Charleston’s oldest student-run radio show, the CisternYard Radio, to promote the event. HOOK and the AMA chapter have been discussing future projects where teams not only have more time to plan but can also implement more of their ideas. For the latest updates on the AMA chapter at the College of Charleston, please visit their Facebook page and follow the chapter on Instagram. << Return to SBNews homepage.